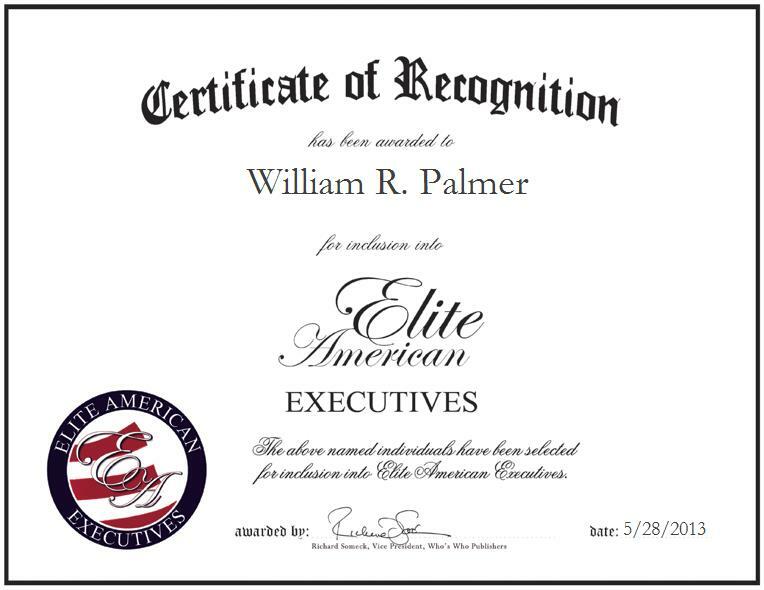 William R. Palmer is the President of the Arizona Business Education Association. Mr. Palmer has 26 years of teaching experience, 10 years of operations management experience, and 10 years of sales experience. He served as NCOES Director, Chief Instructor Master Sergeant E8 at the 6224th US Army Reserve Forces School. He was a Squad Leader in the U.S. Army for two years and was called back to serve in the Reserves from 1973 to 1975 and 1981 to 1994. He was also director of instruction NCO academy. He currently plans workshops for people who teach business, oversees 100 members who teach business in the state, and goes over curriculum for national standards. He is also in charge of bringing in different software companies with different programs to keep teachers current with technology, and teaching at Metro Tech High School in the Phoenix Union High School District. He became involved in his profession because he has 25 years of business experience before becoming a teacher. He had a daughter with a learning disability, who was in special education and ended up graduating in the top 10 percent of her high school class, graduated with high honors from college and is now a special education teacher herself. She was very smart, but got lost in the shuffle, and he thought there was a better way to do this and allow her and other students to flourish in their education.